Italy begin their EURO 2020 qualification campaign on Saturday night, when they host Finland in Udine. The Azzurri are looking to qualify for the European Championship for the 10th time, as well as hoping to win the tournament for the first time in 51 years. Here’s a look at Roberto Mancini’s best available Italy lineup to face Finland on Saturday. Gianluigi Donnarumma (GK) – Now comfortably established as Italy’s new number one, Donnarumma looks set to earn his 12th Azzurri cap. The 20-year-old has played 31 games for Milan this season, keeping 11 clean sheets in the process. Alessandro Florenzi (RB) – The Roma right back will make up Italy’s defence against Finland, as he hopes to keep his third consecutive international clean sheet. Florenzi has also been in solid form for his club, having made 22 Serie A appearances this season. 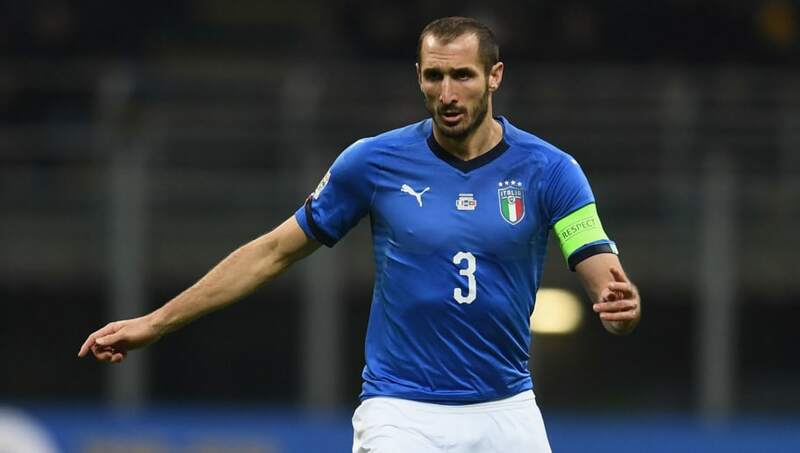 Giorgio Chiellini (CB) – Chiellini has been at the heart of the Italian defence since 2004, and remains the key figure at the back. The Azzurri captain has earned a remarkable 100 caps, more than any other player in Mancini’s current squad. Leonardo Bonucci (CB) – Bonucci will partner up with Chiellini on Saturday, as he usually does for club and country. The Juventus star has earned 85 caps – bettered only by his defensive partner – having made his debut under Marcello Lippi in 2010. Cristiano Biraghi (LB) – Having made his national team debut last September, Biraghi is now an essential part of Mancini’s team. The Fiorentina player has already earned four caps, with his first goal coming as a 92nd minute winner in Italy’s 1-0 win over Poland. Marco Verratti (CM) – Verratti looks likely to retain his place in the Italian midfield, featuring in Italy’s fifth game in a row. The Paris Saint-Germain midfielder’s season has been hampered by injury, though he has still managed to make 29 appearances for the Parisian side. Jorginho (CM) – Though it hasn’t been easy riding for Jorginho recently at Chelsea, Mancini will keep his faith in him. After making his debut in 2016, the Azzurri playmaker regained his place in the Italy side in late 2017 and has since earned 11 caps in their midfield. Nicolo Barella (CM) – Barella is one of the latest additions to Mancini’s revitalised squad, having made his debut last October. The Cagliari midfielder has since played four times for Italy, making up a very strong midfield three. Federico Chiesa (RW) – Chiesa should make up Italy’s front three for the visit of Finland, as he searches for his first national team goal. The 21-year-old has been outstanding for Fiorentina this season, with 12 goals and eight assists in his 31 appearances. 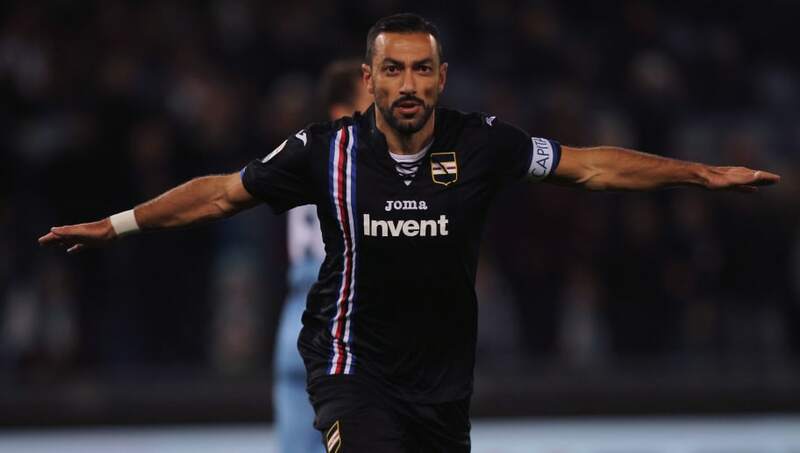 Fabio Quagliarella (ST) – Despite not having played for the national team since 2015, Mancini called up veteran striker Quagliarella for March’s fixtures. The 36-year-old, who currently plays for Sampdoria, could earn his 26th cap for the Azzurri in Saturday’s game. Federico Bernardeschi (LW) – With Lorenzo Insigne injured, Juventus forward Bernardeschi will get his chance for the visit of Finland. The 25-year-old has been a key part of the reigning Italian champions’ squad, making 29 appearances under Massimiliano Allegri this season.